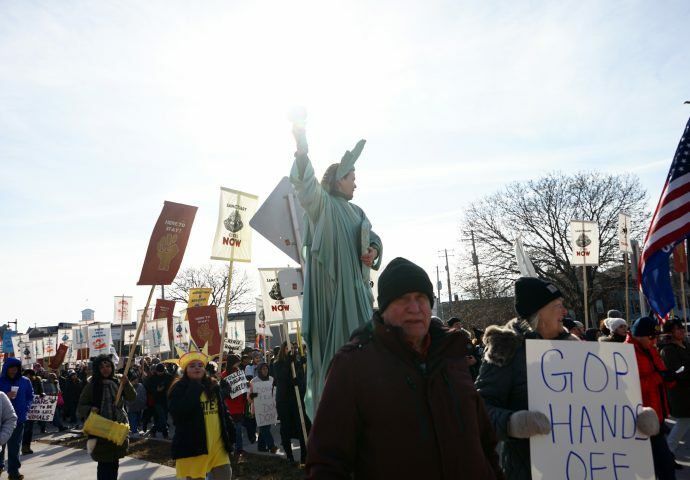 Along with a group of interfaith religious leaders, Pardeep Kaleka from Serve2Unite and Sikh Temple of Wisconsin addressed the marchers. 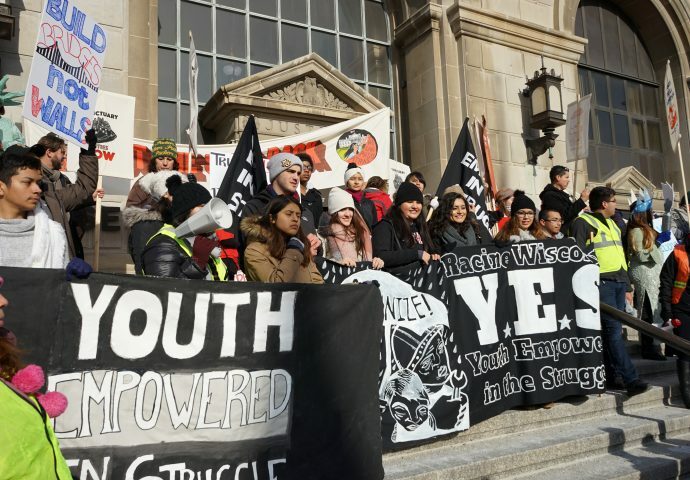 Chapters of Youth Empowered in the Struggle from around Milwaukee and Wisconsin joined the demonstration. 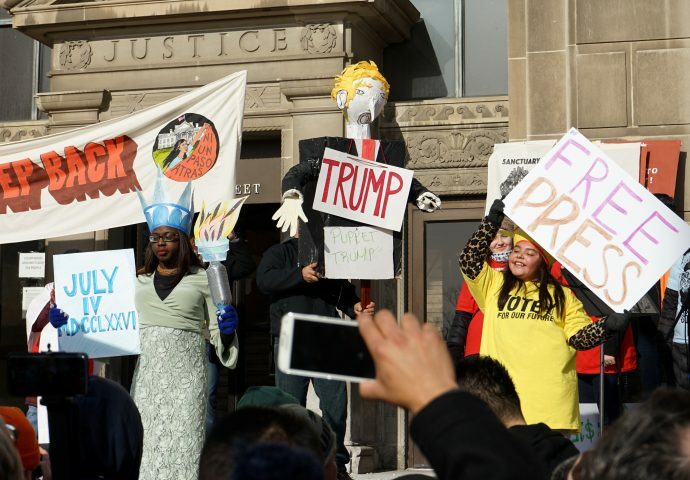 A short skit kicked off the presentation at the Milwaukee County Courthouse. 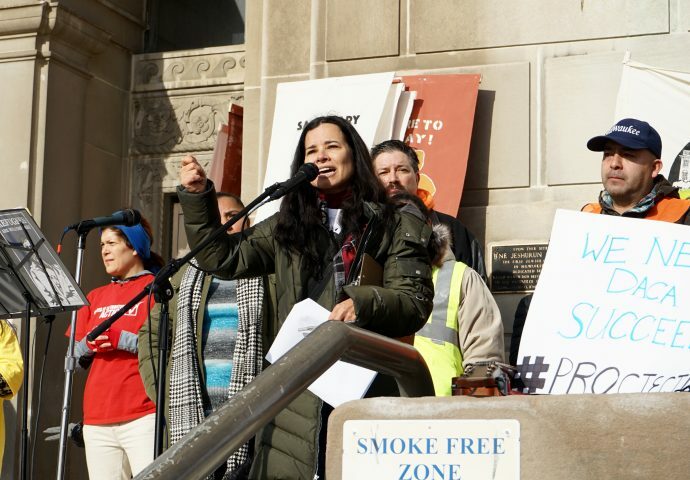 Christine Neumann-Ortiz, executive director of Voces De La Frontera, addresses the crowd. 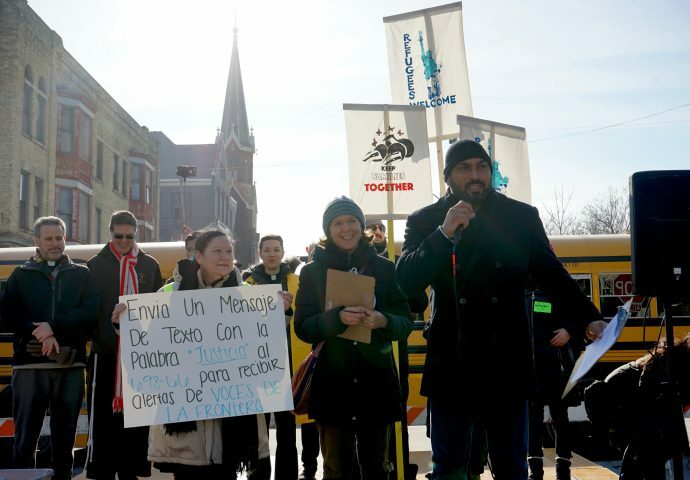 Emmanuel Rios, pastor at Casa De Restauración in New Berlin, shares his motivation for making his church the first in the state to offer physical sanctuary to immigrants. 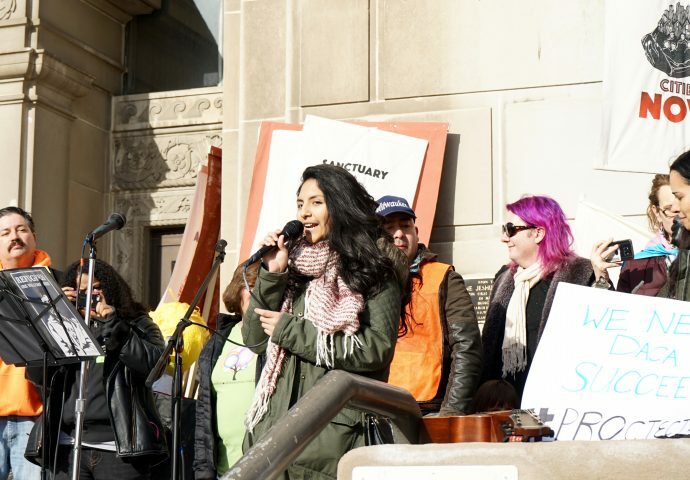 Fernanda Jimenez, a 16-year-old student at Racine Horlick High School, shares her story with the audience. 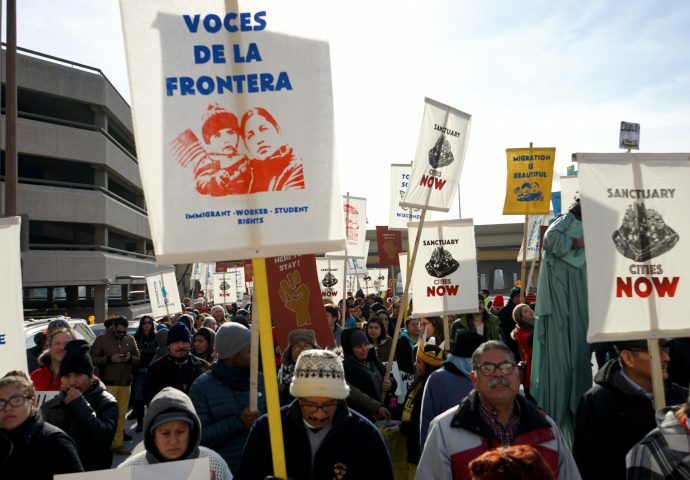 Voces De La Frontera continued its advocacy against President-elect Donald Trump’s proposed policies regarding immigrants and refugees. 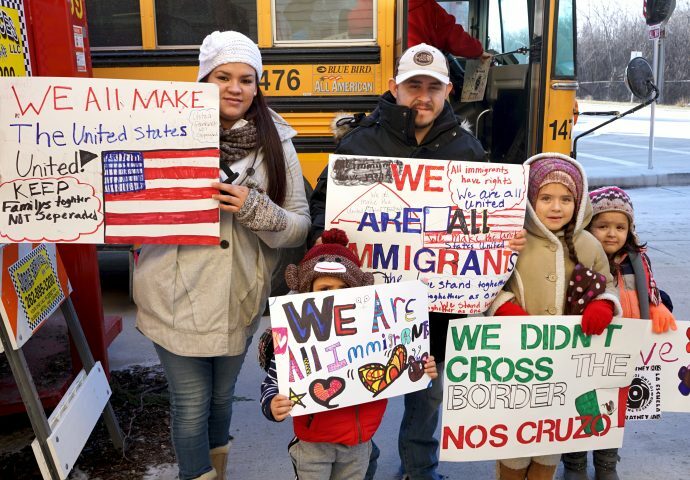 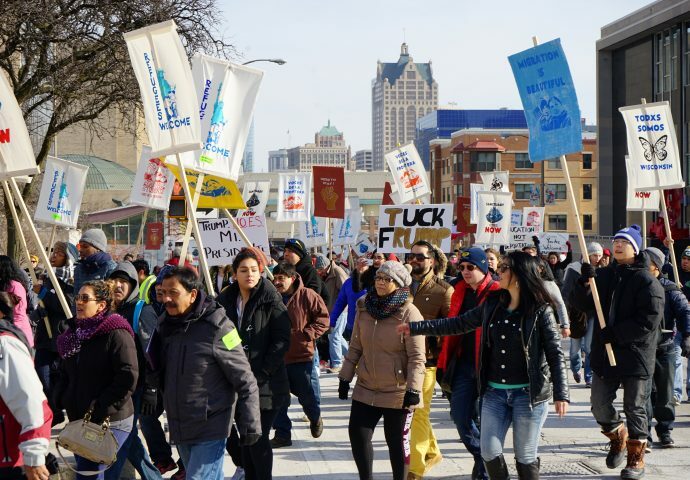 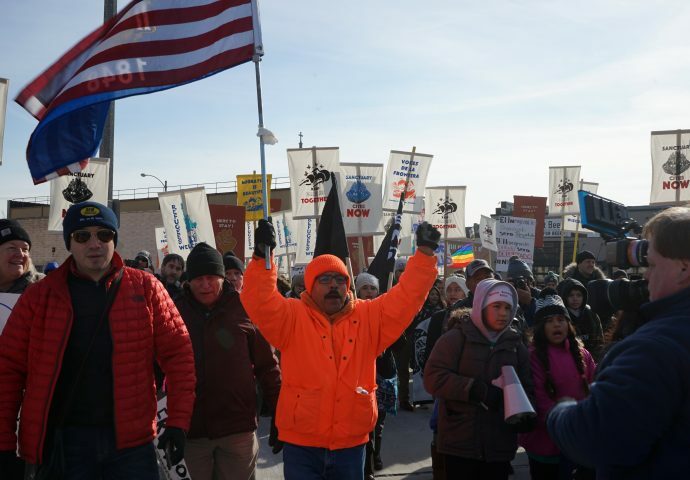 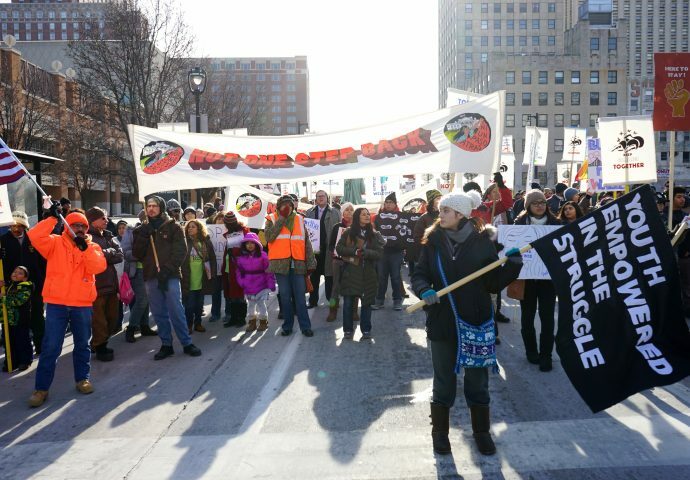 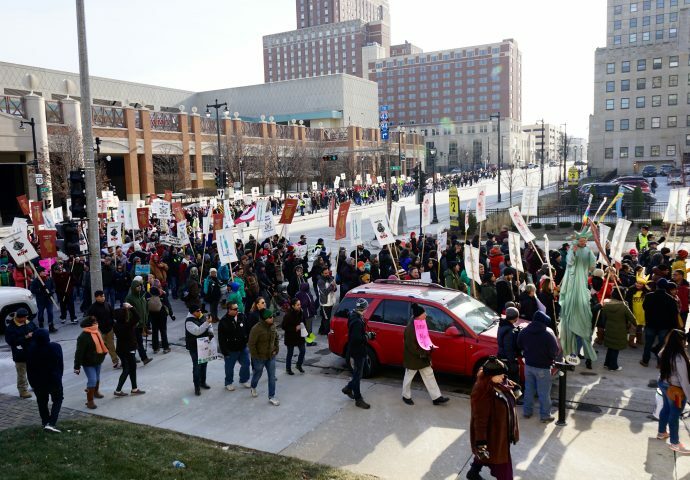 More than 1,000 Wisconsinites joined the Milwaukee-based march from cities around the state, including Green Bay, Kenosha, Madison, Racine, Sheboygan and Waukesha. 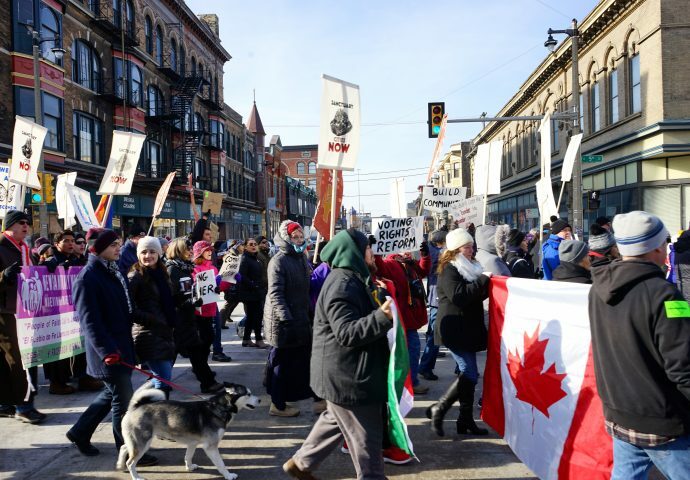 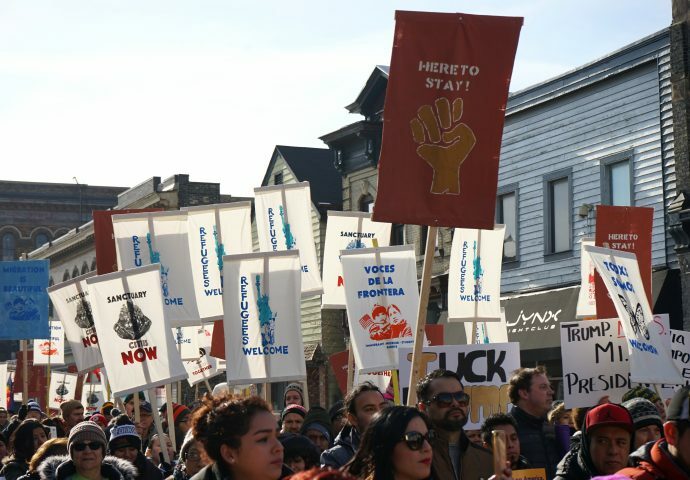 The demonstration drew advocates for a wide range of causes related to immigrant rights. 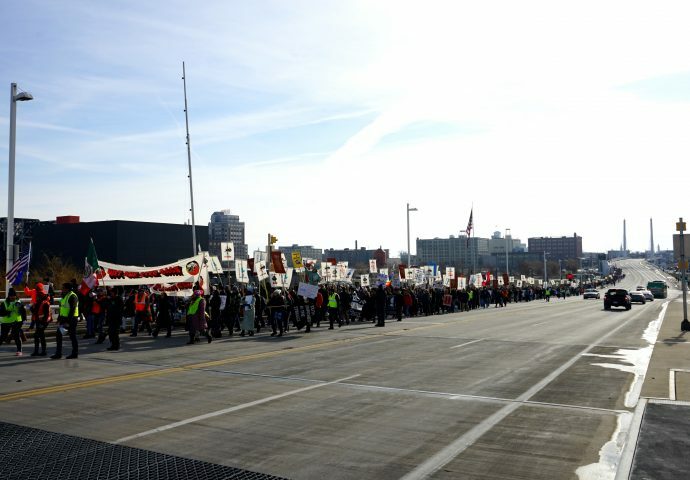 Support for the event came from the Coalition for an Inclusive Wisconsin, a consortium of organizations representing African-Americans, Jews, Muslims, women, workers and the LGBTQ community. 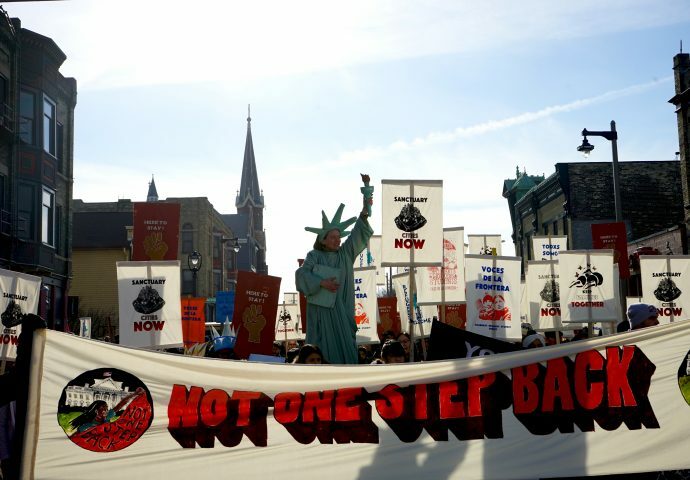 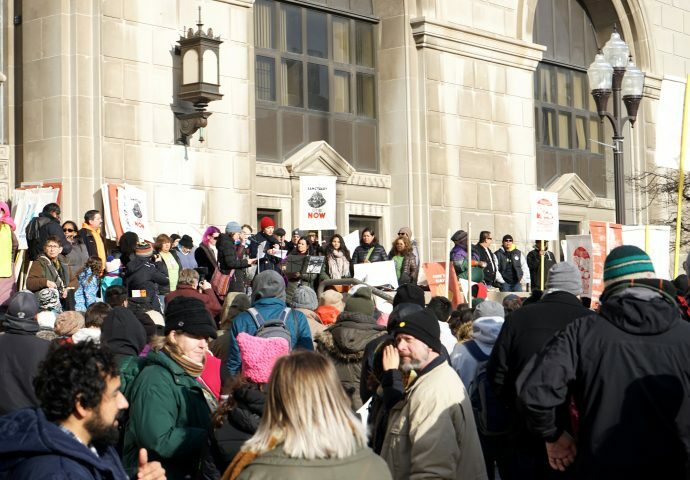 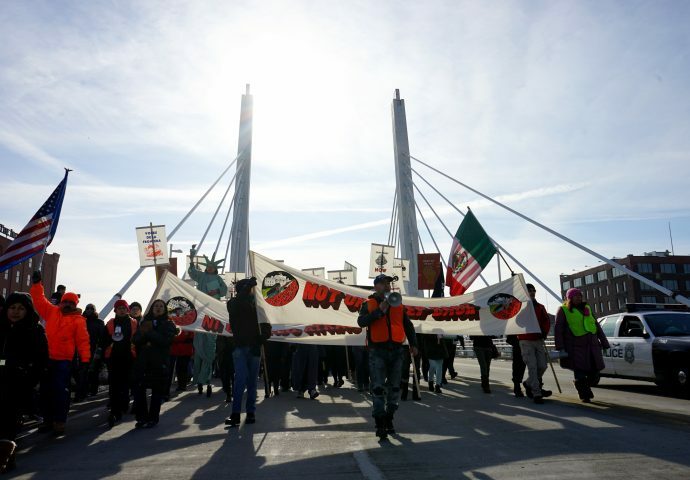 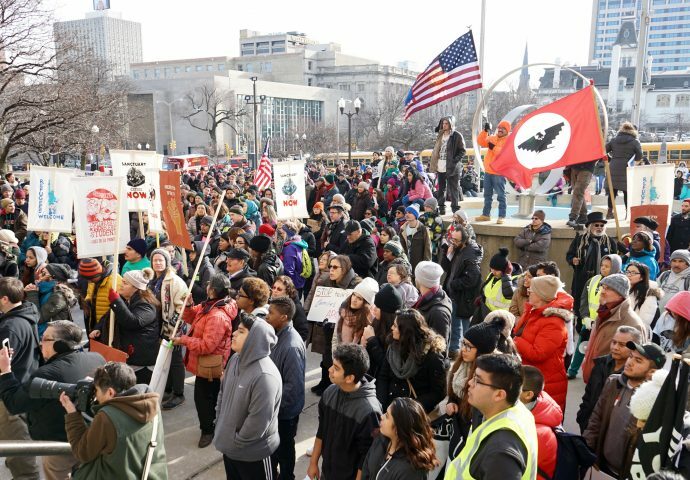 Starting in Walker’s Point and continuing to the steps of the Milwaukee County Courthouse, the demonstration included a program led by Voces De La Frontera Executive Director Christine Neumann-Ortiz. 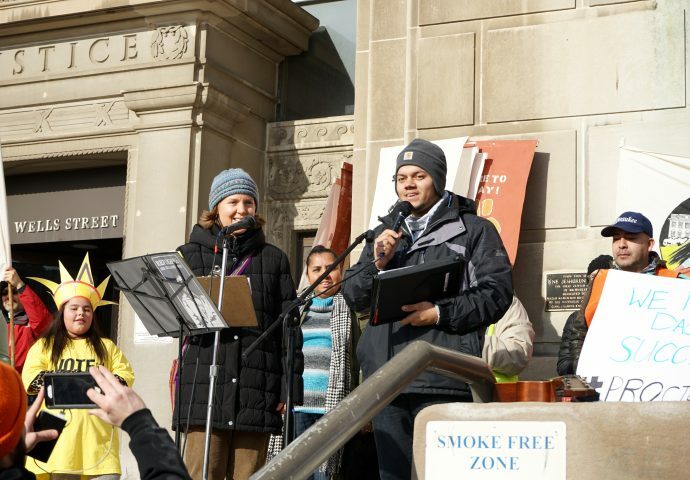 Speakers included John Holevoet from the Dairy Business Association, Emmanuel Rios, pastor at Casa De Restauración in New Berlin, Fernanda Jimenez, a student at Racine Horlick High School and Jen Levy, a teacher at Mitchell Elementary in Racine.